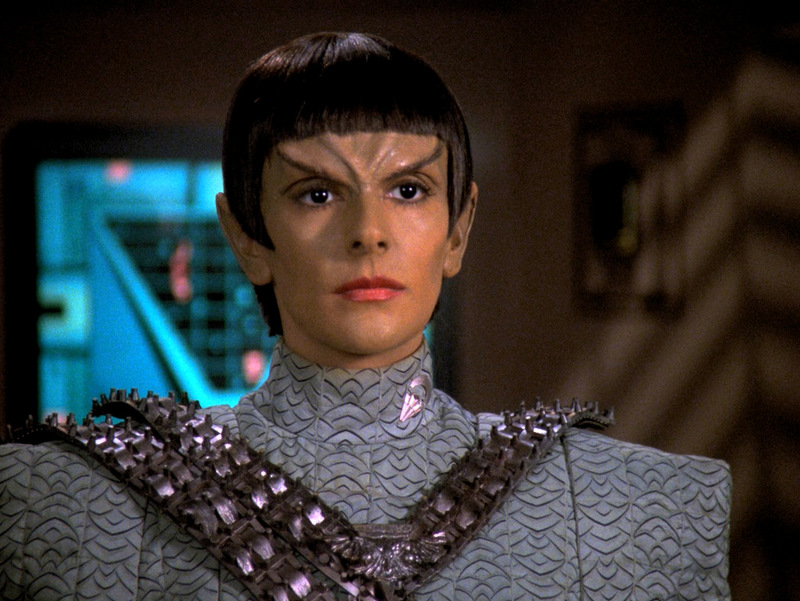 The Romulans used to look just like their Vulcan cousins until they were given characteristic V-shaped forehead bones in TNG. Even all of the few Romulans we could recently see on Star Trek Enterprise had this feature. 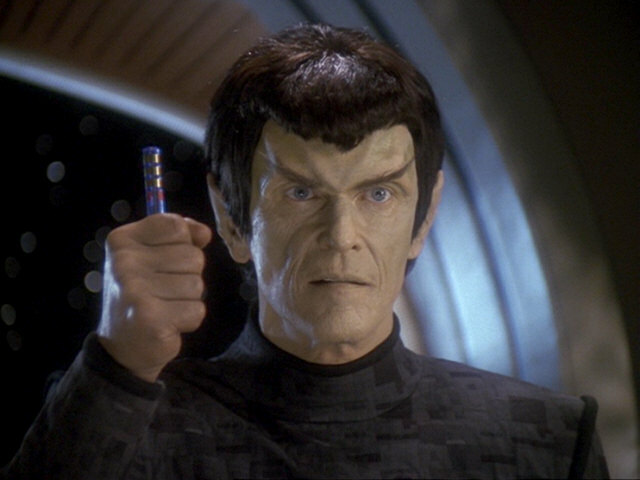 The obvious motivation for the amendment of their make-up using modern techniques was that the Romulans were going to be more or less regular players in TNG. They could be given more distinctiveness this way - although the make-up department must have been aware that they are a Vulcan spin-off from a time too recent for evolution to take effect. 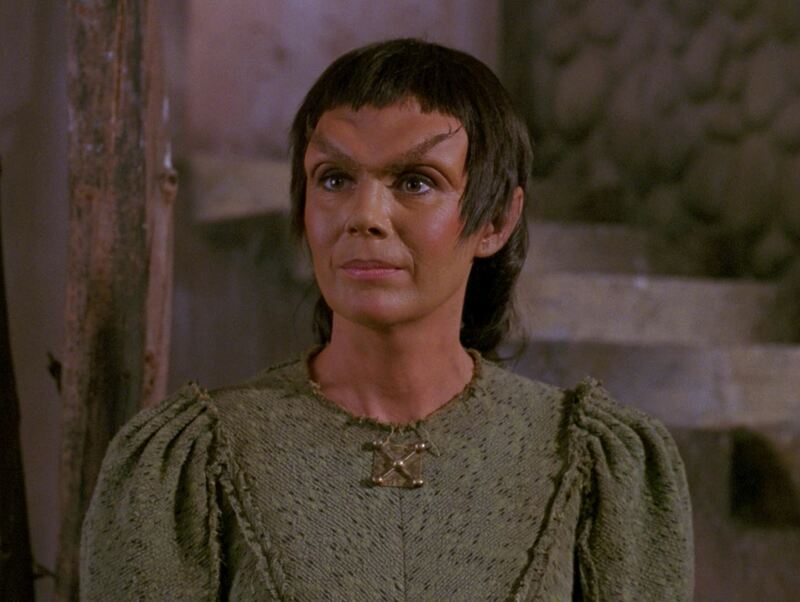 Irrespective of the real-world reasons for the make-up change, here is a commented gallery with nearly all Romulan make-up variations, including fake Romulans and some other oddities. 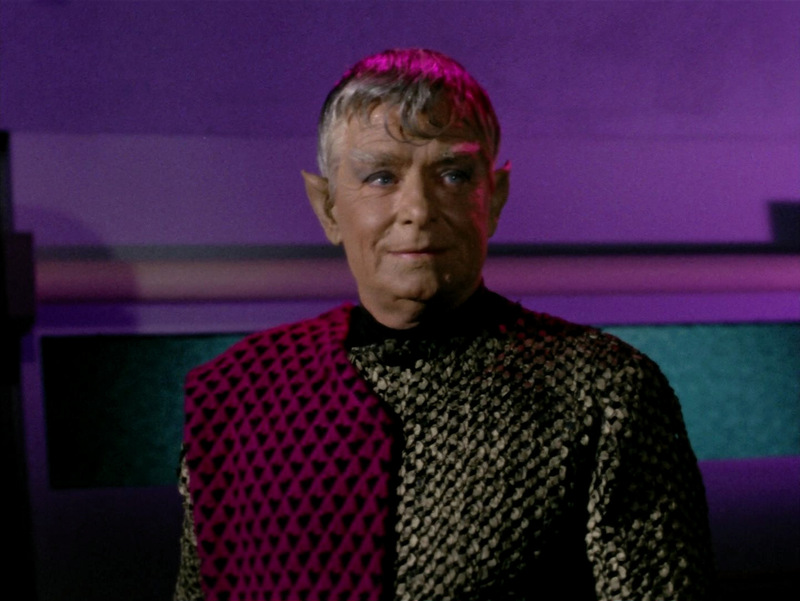 All Romulans that appear in the two TOS episodes TOS: "Balance of Terror" and "The Enterprise Incident" ("The Deadly Years" only showed a Romulan ship from the outside) look exactly like the Vulcans of their time. 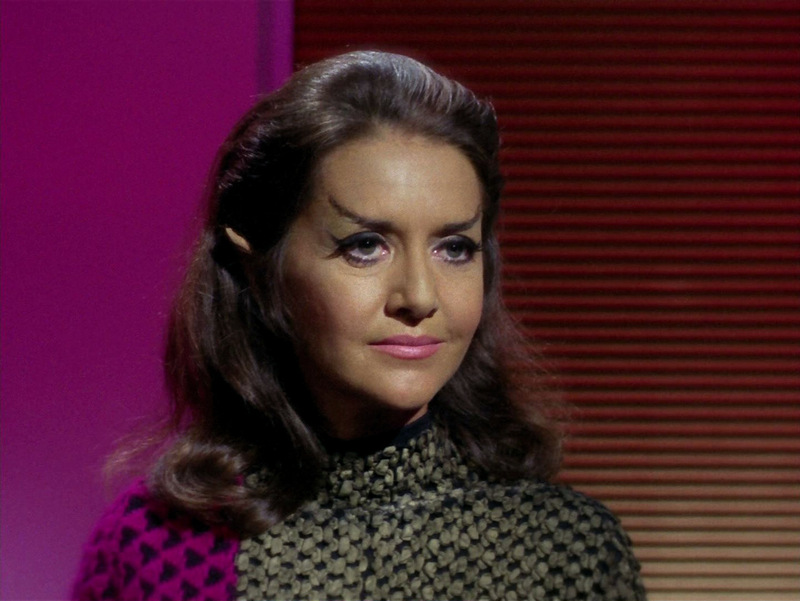 The special make-up consists of pointy ear prosthetics and sloping eyebrows. 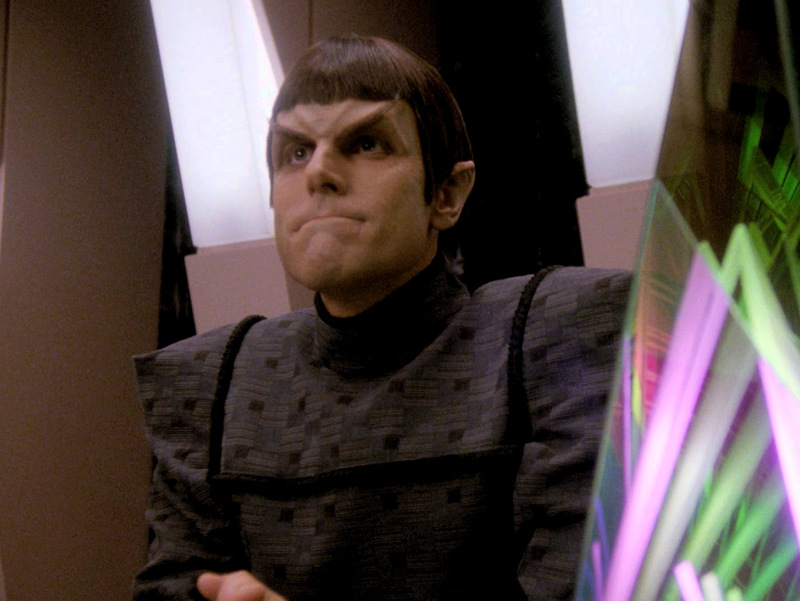 Something else to notice is that the haircuts of the crew of the Romulan BoP from "Balance of Terror" are austere with a straight bang combed down just as Spock's (we had not seen any other Vulcans by that time). 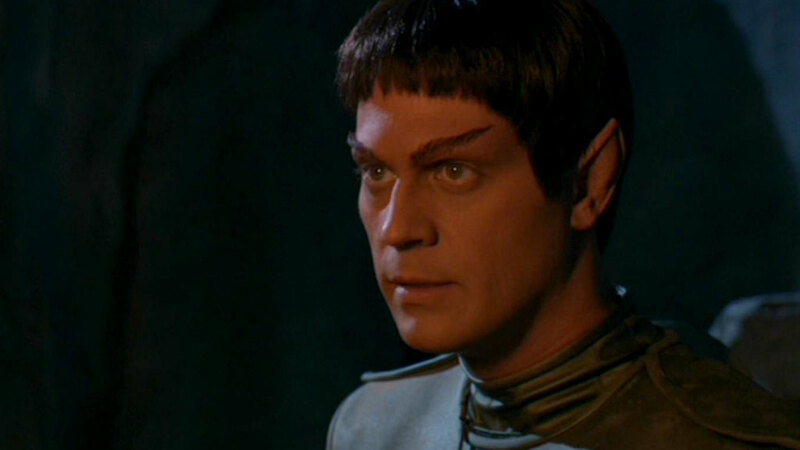 There is more variation in the hairstyles of the Romulan crew in "The Enterprise Incident", many of which are not quite as "tidy". And some of the personnel have light brown hair, as opposed to the plain black or very dark brown that would be prevalent in the 24th century. 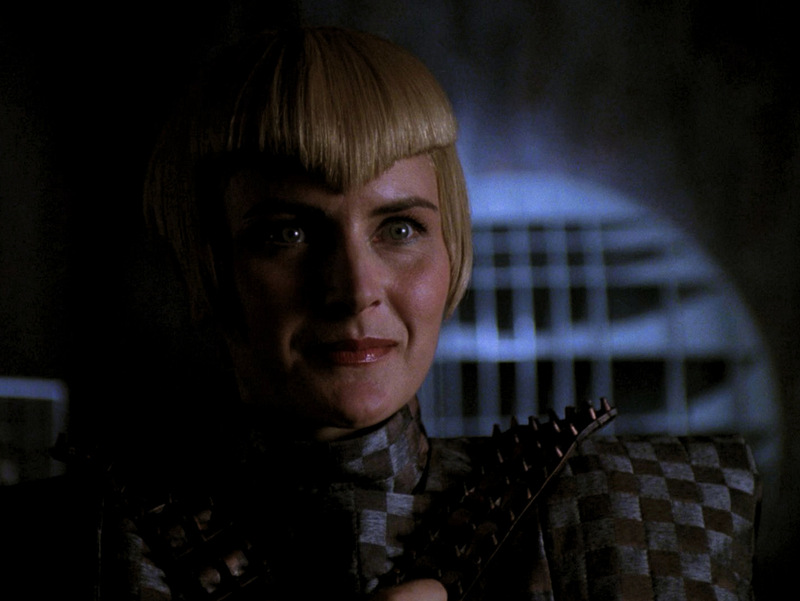 The female commander has shoulder-long hair, just like most Vulcan women of her time have long hair. 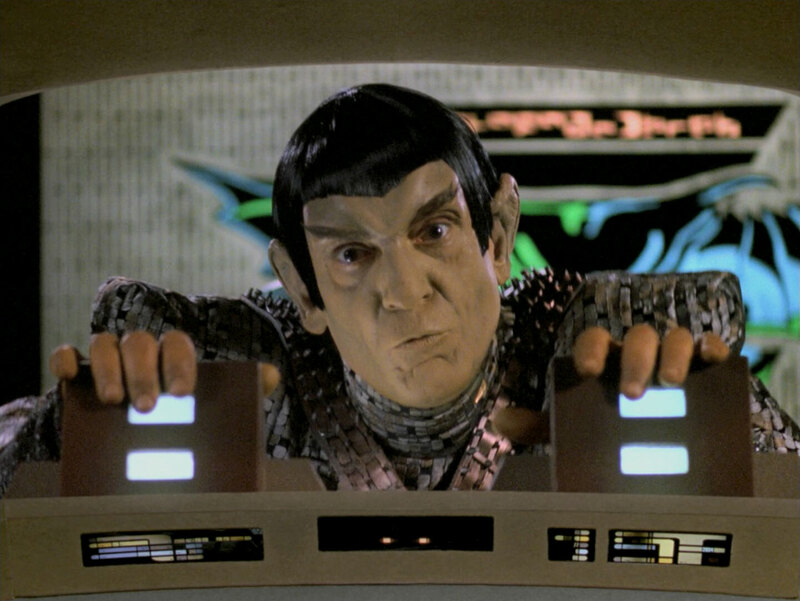 Interestingly, the Romulan helmets of some of the lower-ranking crew members in both episodes are very similar as those worn by the Vulcan guards in TOS: "Amok Time". 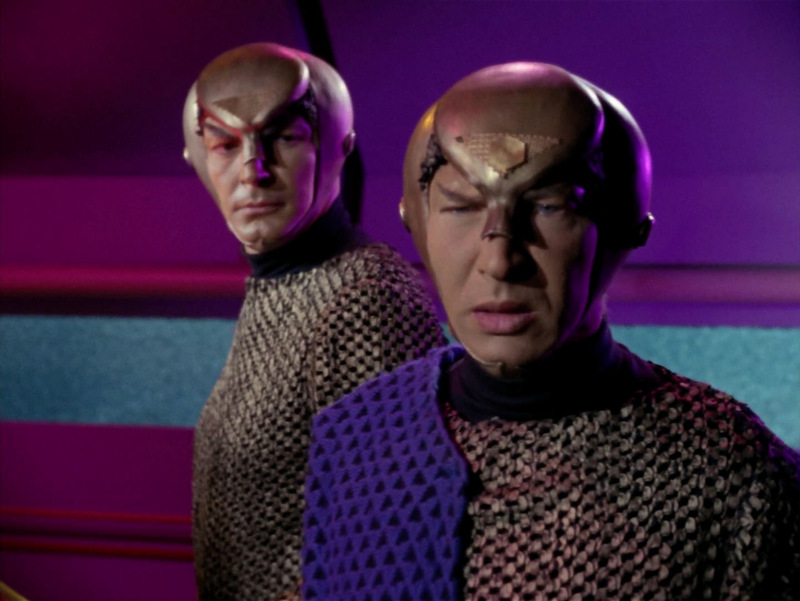 Perhaps these Romulans could have the same kind of forehead bones as the 24th century members of their race? 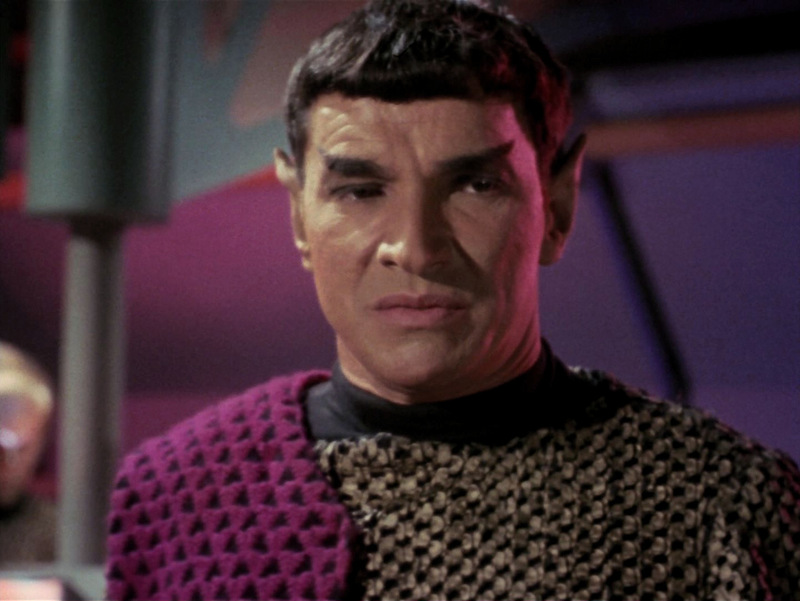 No Romulans appear in the first four Trek movies. 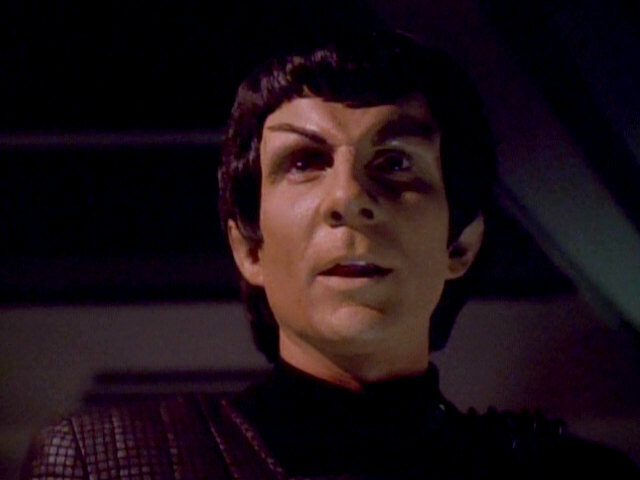 In "Star Trek V" and "Star Trek VI", albeit filmed two years after the launch of TNG, the Romulans return to even foreheads just as in TOS. One thing worth mentioning is that nearly all Romulans (at least among those that are clearly visible) are played by Caucasian actors. Cynthia Gouw as Caithlin Dar ("Star Trek V") is the first of very few exceptions, and the only one of Asian descent. Since she has a human first name and her slightly modified eyebrows could pass as human too, she may be partly human, as also stated in the novelization of the movie. 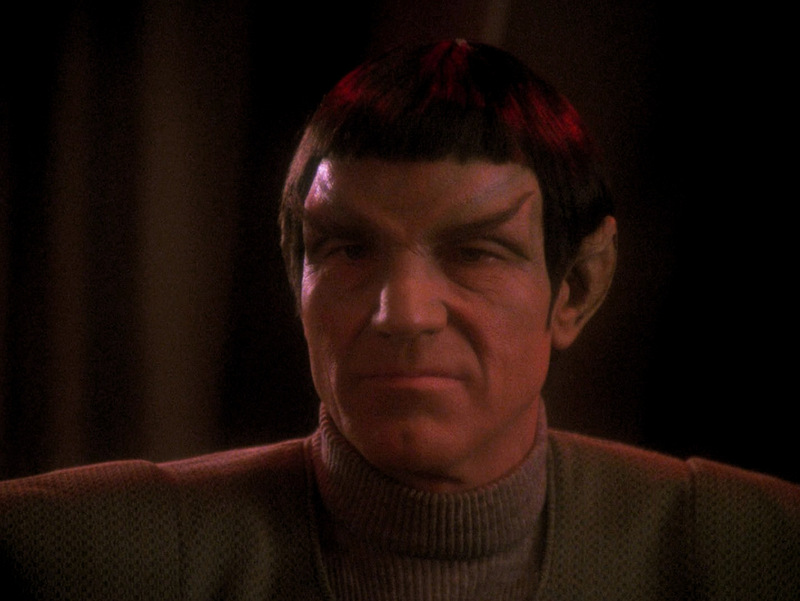 The Romulan look with the characteristic V-shaped forehead bones established in TNG: "The Neutral Zone" is the longest standing and most consistent. There are only relatively little variations in the thickness and structure of these bones. All Romulans who appear in this era, without a single exception, sport a short haircut, among the military and the civilians alike. It is so consistent that it appears to be a compulsory style. 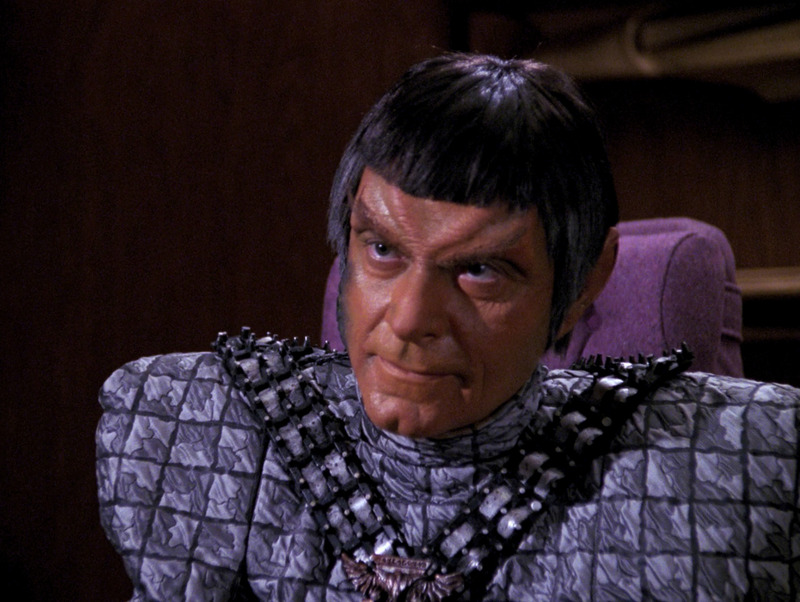 Romulans of the 24th century have hair colors between dark brown and plain black before they grow gray. It seems that most older Romulans such as Senator Pardek or the soup woman have additional wrinkles in their protruding forehead bones. 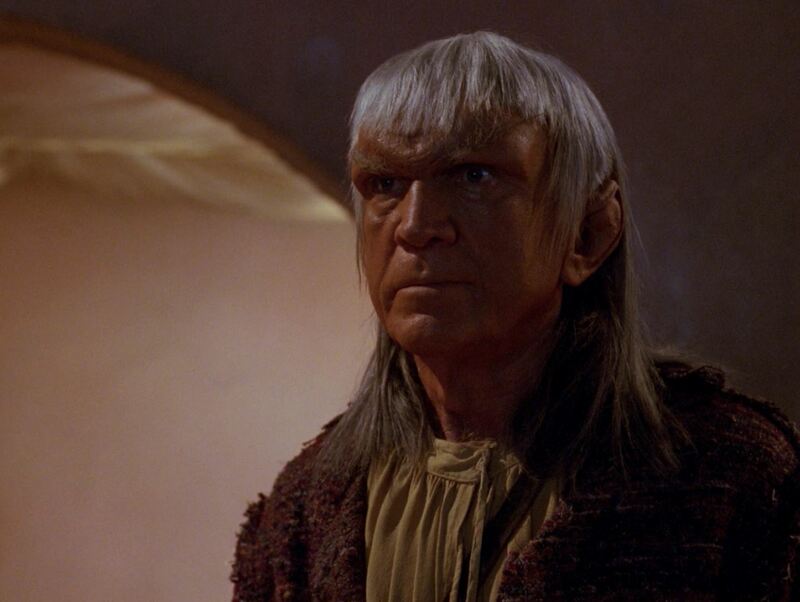 Commander Sirol of TNG: "The Pegasus" is another of the rare examples of Romulans played by non-white actors. Something else to notice about the hairdo is that initially the bang forms a straight horizontal line, whereas it customarily looks like a "V" since about the fourth season of TNG (thereby accentuating the equally shaped forehead bones). The make-up style and the now V-shaped bang remain essentiallythe same in the following series DS9 and Voyager. "Star Trek Nemesis" introduces a new uniform style but otherwise doesn't change the look of the Romulans. 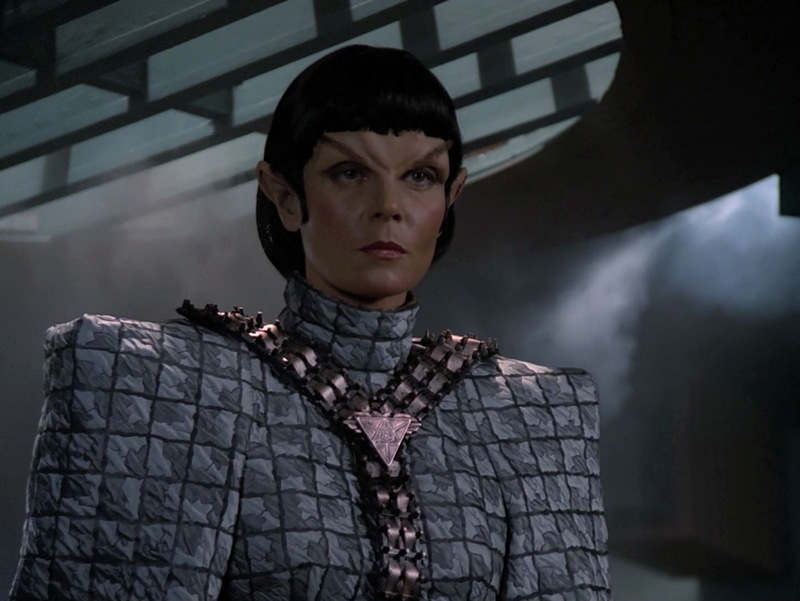 Speaking of uniforms, the Romulans on Enterprise (most notably in the trilogy ENT: "Babel One", "United" and "The Aenar") don't only sport the 24th century make-up but also wear the latest uniform style from "Star Trek Nemesis". 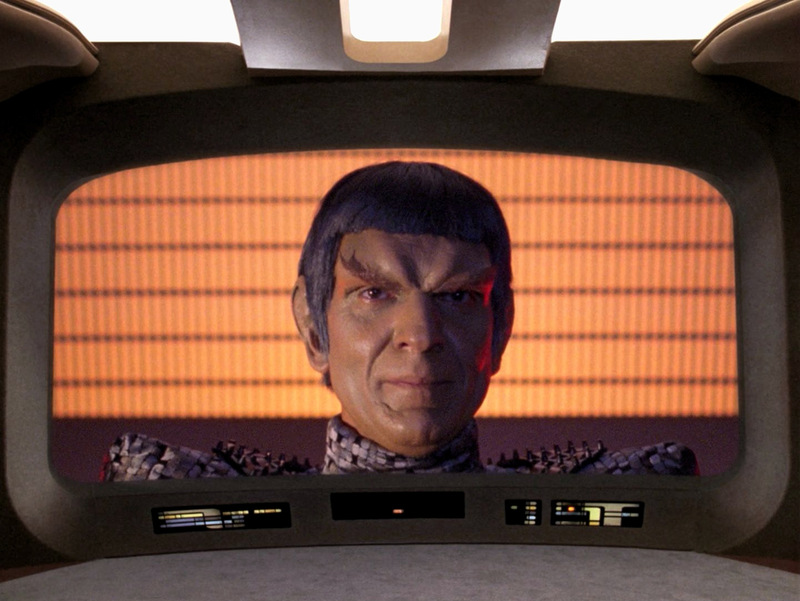 Commander Tomalak is a character, who appears no less than four time during TNG's run, always played by the late Andreas Katsulas. 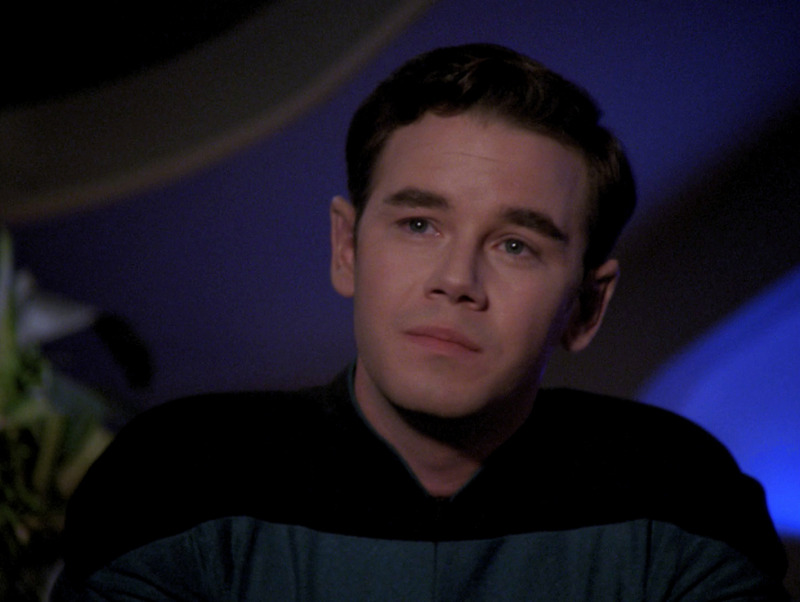 His appearance only slightly changes between the first time in "The Enemy" and the final episode "All Good Things". But just as all other Romulans he is subjected to the fashion dictate, and his bang becomes V-shaped. 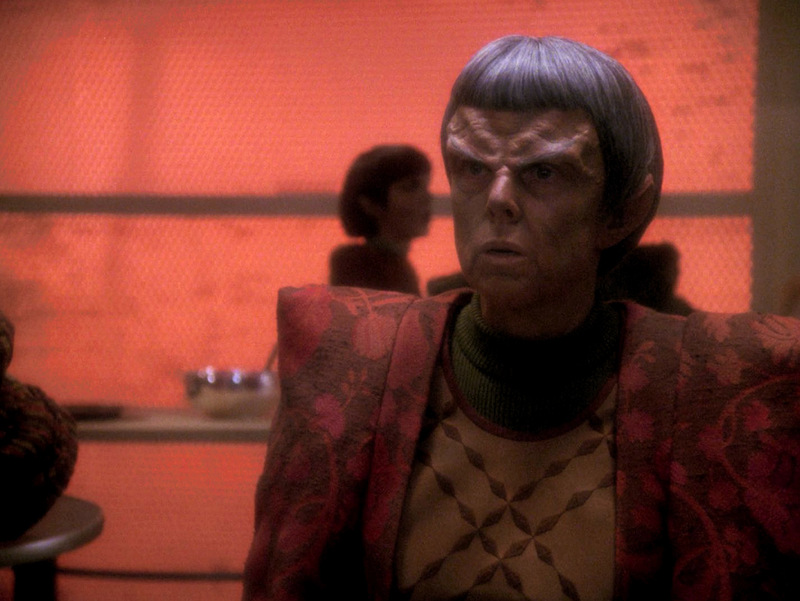 Kimara Cretak appears twice in DS9's final season, played by two different actresses. This readily explains the change of her appearance. 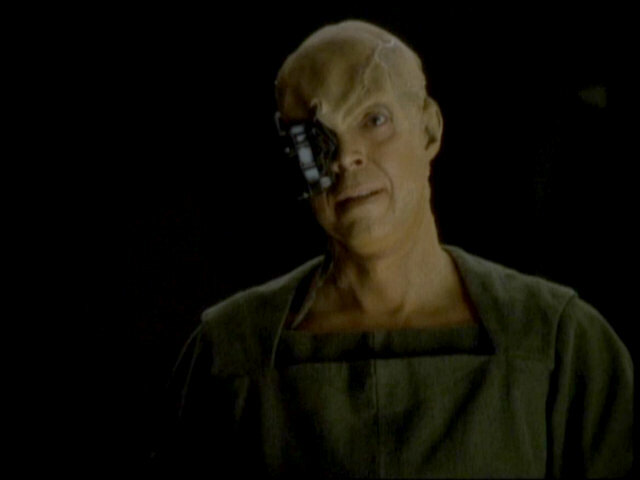 In a similar fashion, Neral is played by Norman Large in TNG: "Unification" and by Hal Landon in DS9: "Inter Arma Enim Silent Leges". The latter looks a lot older although the two episodes are just seven years apart. 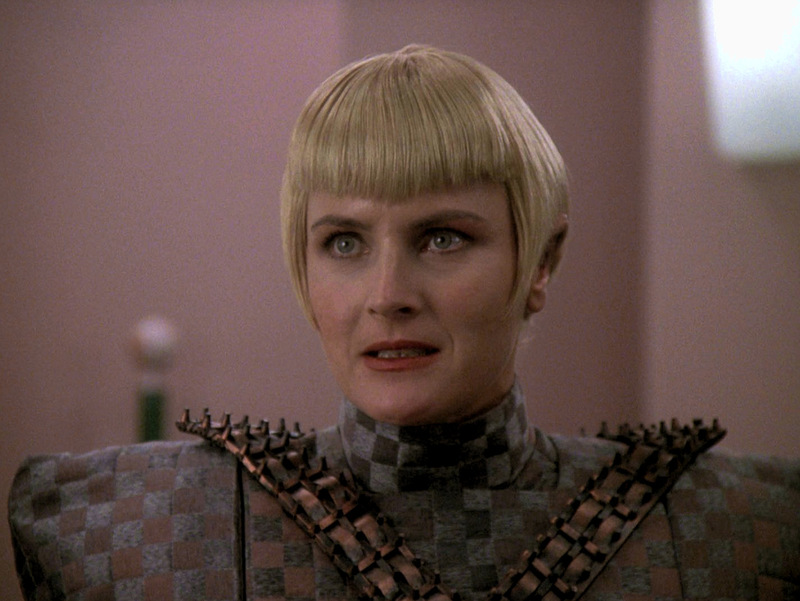 Sela, Tasha Yar's half-Romulan daughter from a parallel timeline, looks like a Romulan, only without protruding cranial bones. Her haircut would conceal much but not all of the V-shaped bones like typical "purebred" Romulans have them. On a side note, her initially extremely V-shaped bang in TNG: "Redemption, Part I" is much less pronounced as soon as in part II of the same episode and in TNG: "Unification". 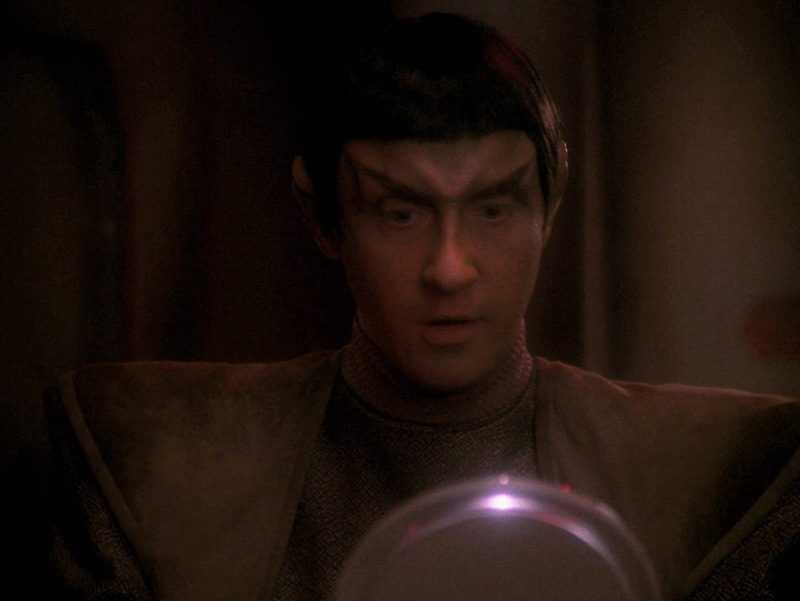 Crewman Tarses from TNG: "The Drumhead", a quarter-Romulan who always passed as being three quarter human and one quarter Vulcan, even has a completely smooth forehead. Hence, we may deduce that the protruding bones are a recessive trait that would likely fade away in combinations of Romulan and alien DNA. Be'el is a Klingon-Romulan hybrid, whom Worf only recognizes as such when he sees her ears that were previously hidden underneath her hair. Romulans seem to have no trouble passing as Vulcans, or the other way round. 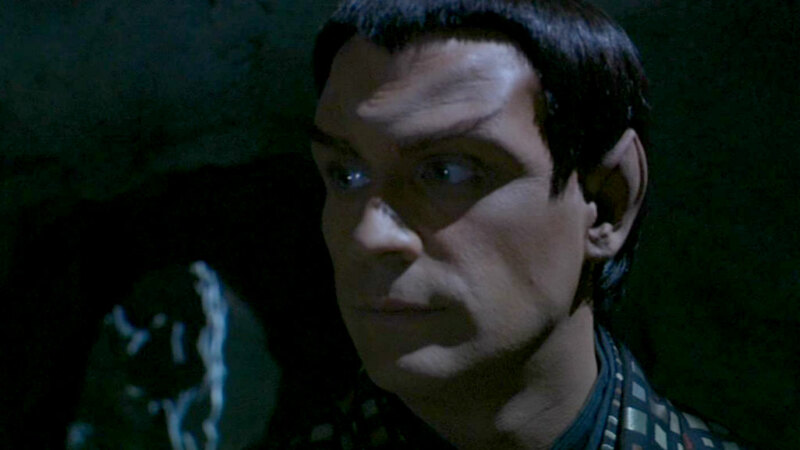 The first case in point is T'Pel, the Vulcan dignitary from TNG: "Data's Day" who has a smooth forehead but turns out to be a Romulan spy named Selak. 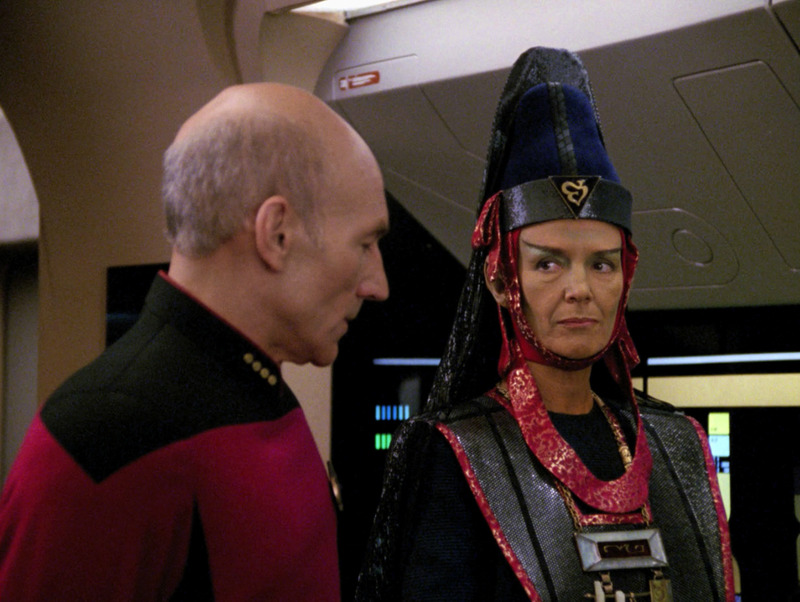 Vice versa, there is the Vulcan terrorist T'Paal/Tallera who disguises herself as a Romulan in TNG: "Gambit". She has pronounced cranial bones like most of the Romulans. 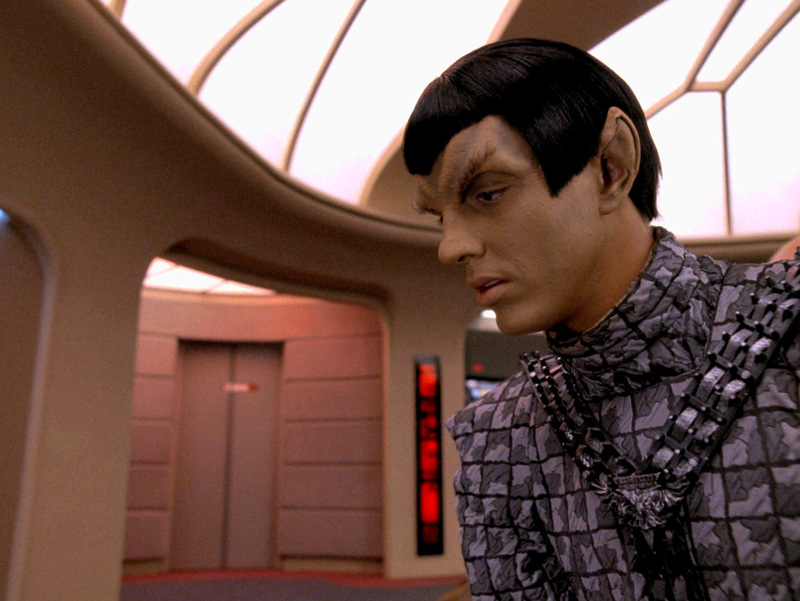 Finally, there is Talok, Romulan operative who poses as a Vulcan in ENT: "Kir'Shara". 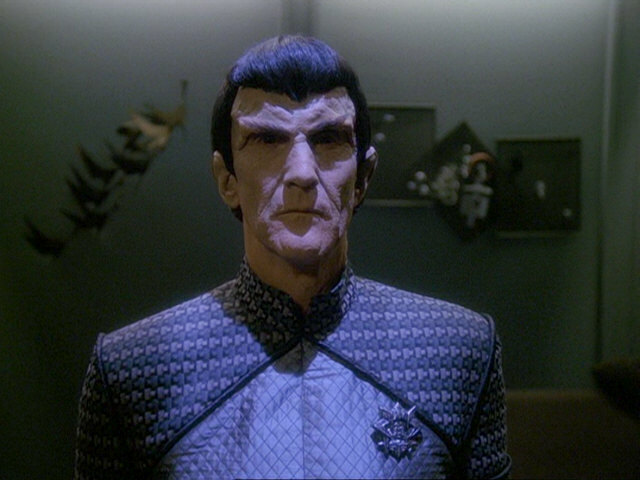 We see him with his original Romulan forehead bones at the end of the episode. 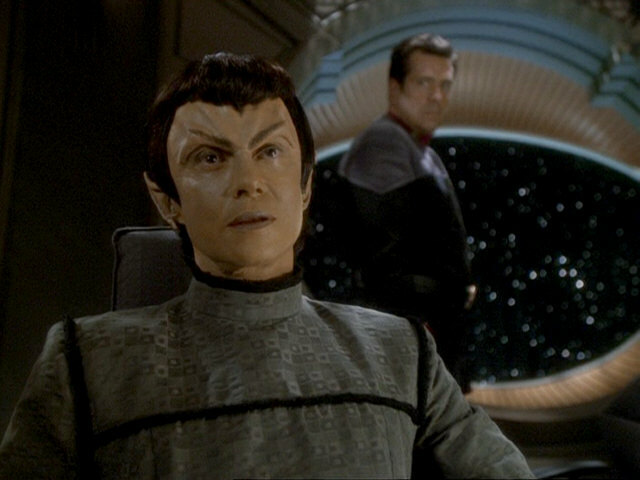 Humans and other humanoids have been surgically altered to be able to pass as Romulans, at least outwardly. 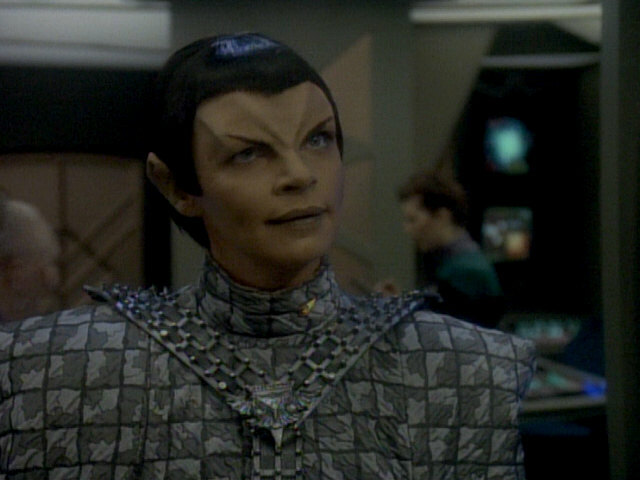 There is also at least one case of a Changeling morphing into the Romulan, Lovol in DS9: "The Die Is Cast". 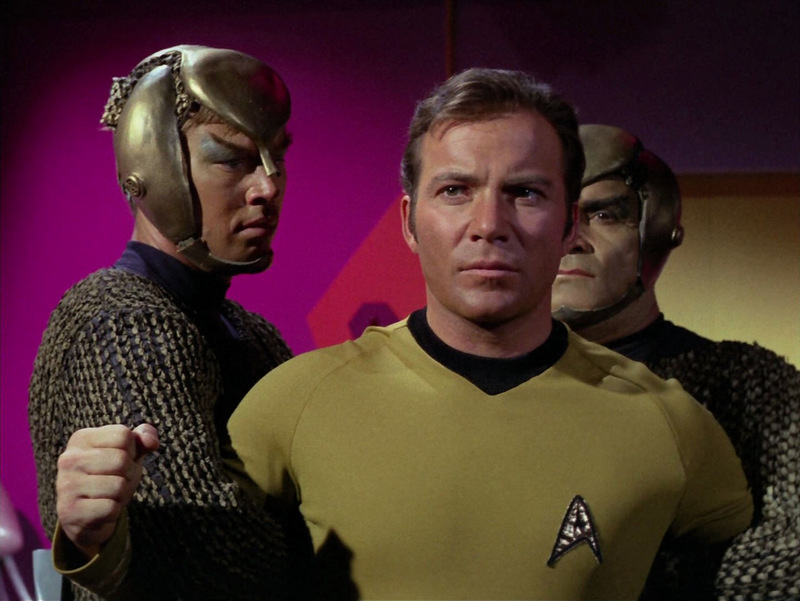 Side note The Romulan officer whose uniform Kirk took away in "The Enterprise Incident" was wearing a helmet of the kind pictured further above. Kirk should have put on this helmet, because the uniform may have raised suspicion without it. And considering that the helmet would have covered his ears, he could have forgone the whole surgical procedure! 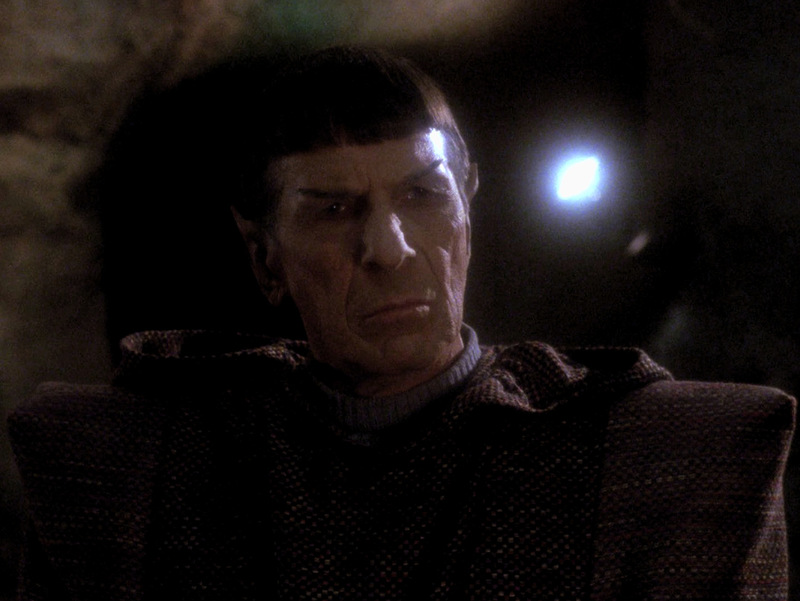 Spock spends some time on Romulus during his underground operation in TNG: "Unification". 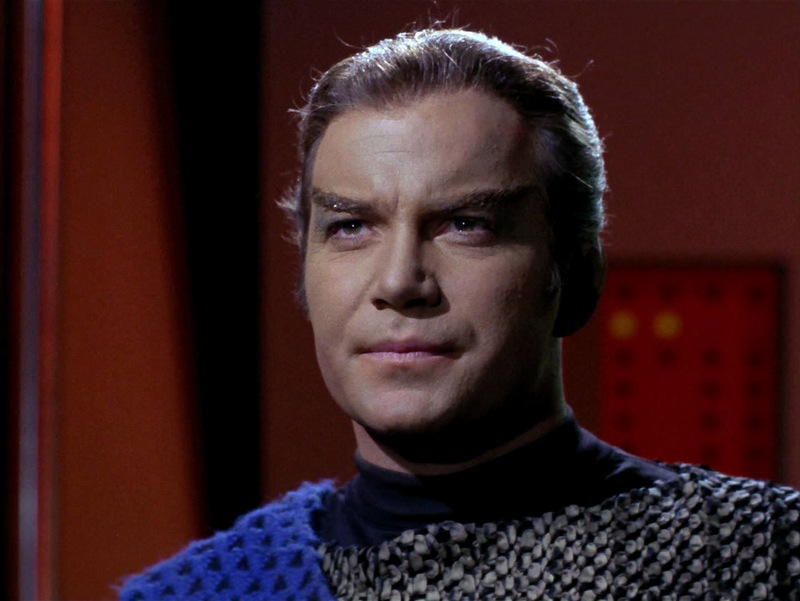 Although he has not been altered in any fashion, he does not strike anyone as being a Vulcan. 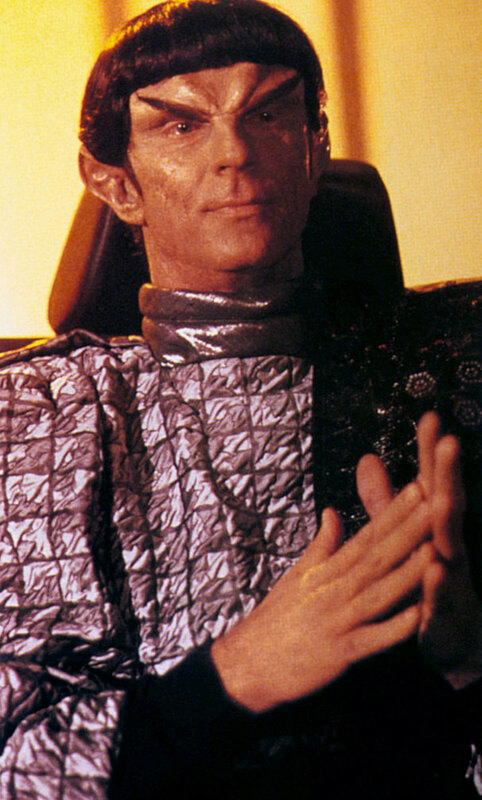 Stefan DeSeve, on the other hand, is a human who has chosen to collaborate with the Romulans. 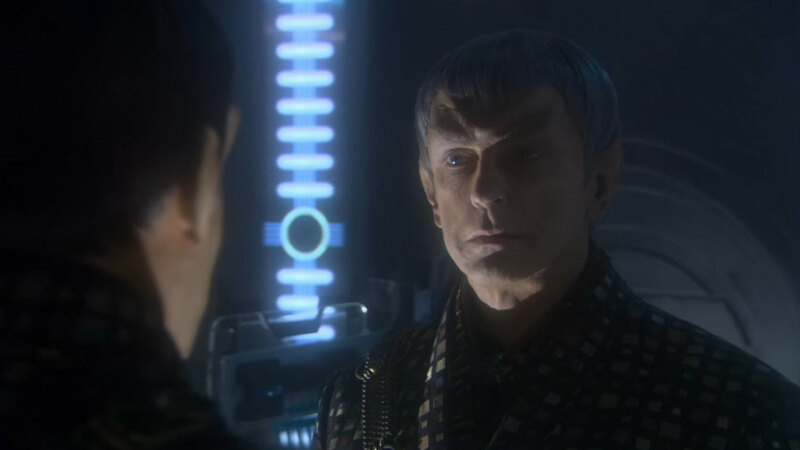 Therefore he is wearing a Romulan uniform, and just like Sela he has chosen a Romulan hairstyle, although his blond hair color, besides the human ears, easily allows to recognize him as an outworlder anyway. 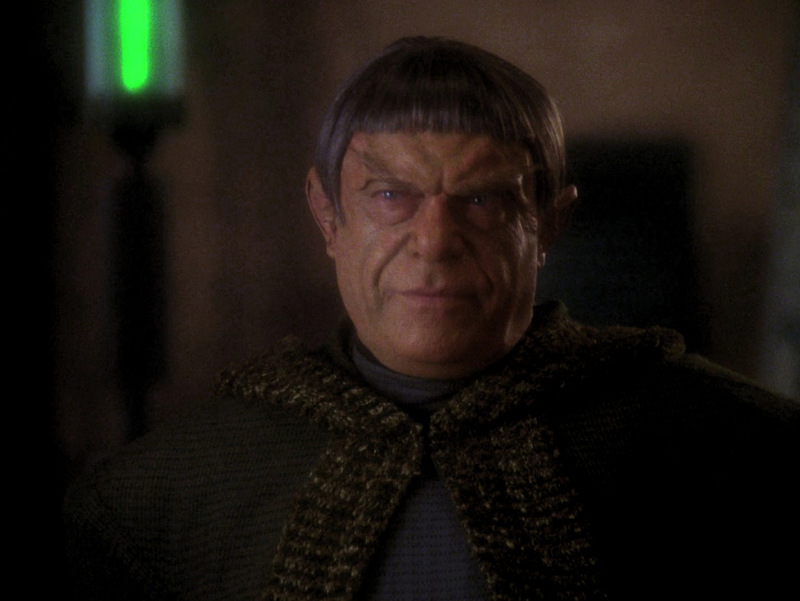 An ex-drone of Romulan origin appears in the "Cooperative" in VOY: "Unity". 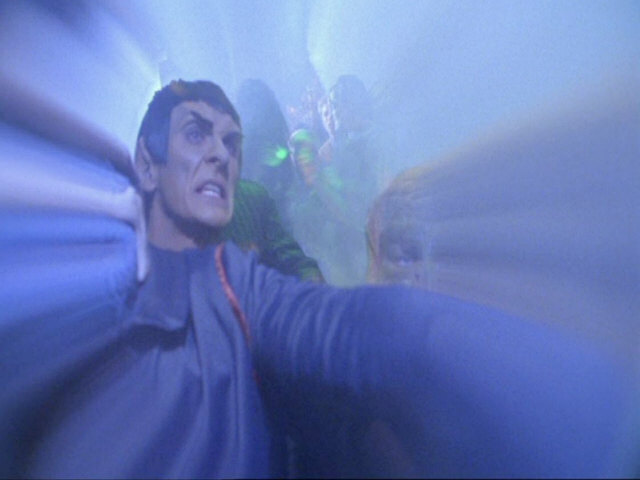 We can briefly glimpse a Romulan who is being or has just been assimilated in one of Seven's hallucinations in "Infinite Regress". 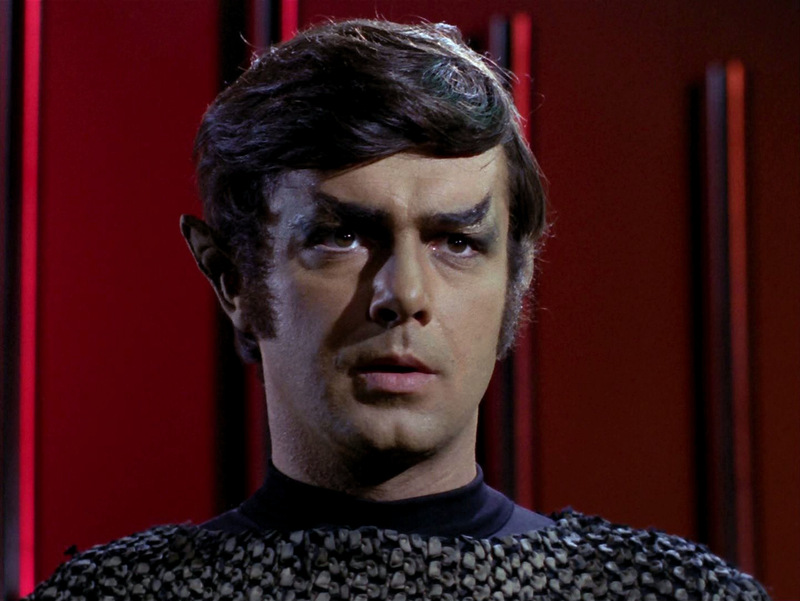 We don't know anything about the Remans except that they inhabit Remus, the neighbor planet of Romulus, and they are a labor class in the Romulan society. They could be the indigenous population of Remus or even of Romulus, but are apparently not related to the Romulans in any fashion. 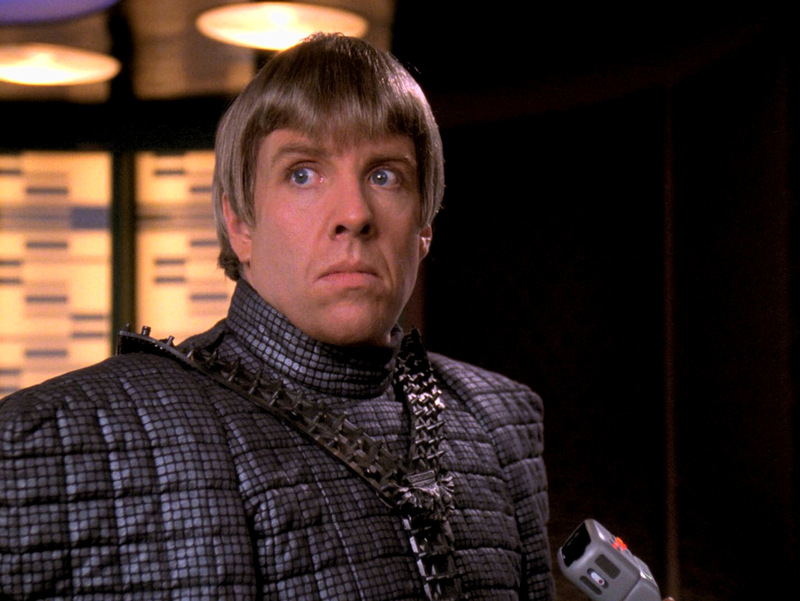 The Mintakans are technically no Romulans. In TNG: "Who Watches the Watchers" they are classified as "proto-Vulcan". But they look a lot like 24th century Romulans, so there may be a relationship after all. 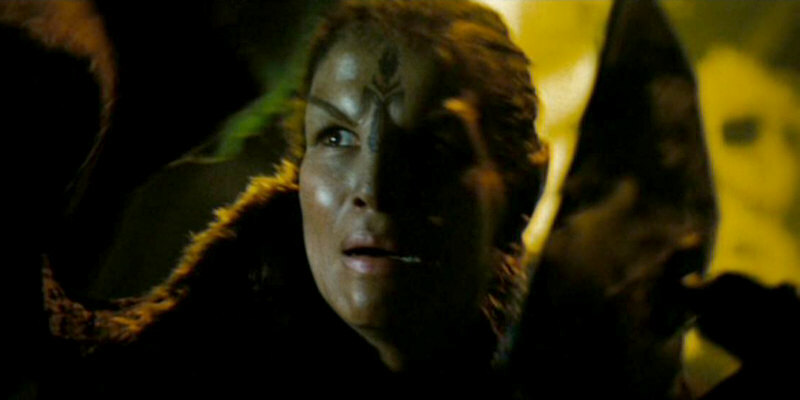 In the reboot movie "Star Trek (2009)" all Romulans that we see are part of Nero's crew and are originally from the 24th century. They have smooth foreheads, just like the Romulans in TOS and the TOS movies, and unlike those in the 24th century series and ENT. Their bald heads and tattoos are just as uncommon. This look is explained in the non-canon comic Countdown as a mourning ritual. The real-world reason is that the revised make-up (which also includes nose appliances) was simply deemed to look better on Nero's crew. Two Narada crew members are unusual. 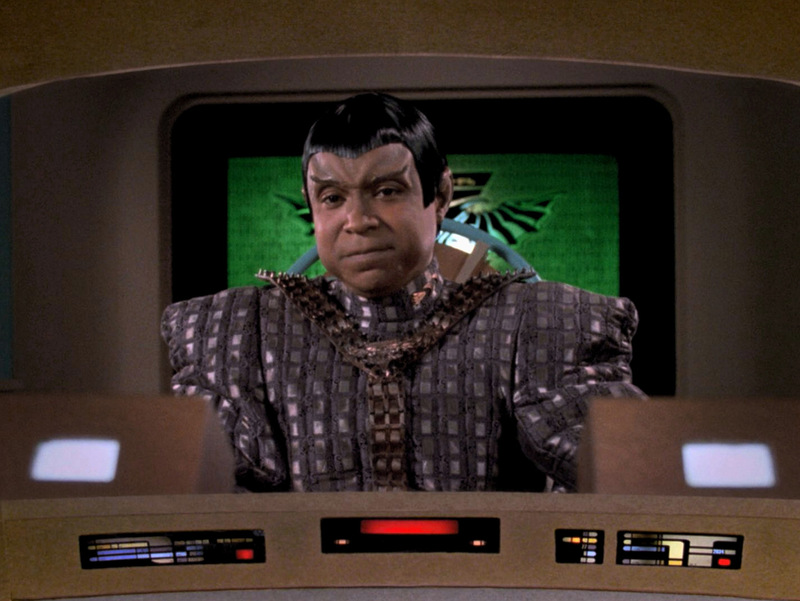 One of the two guards defending the drilling platform (the one who fights against Sulu and gets grilled) is played by a black actor, and the communications officer is the only female crew member we know of, and also the only one who kept her hair. 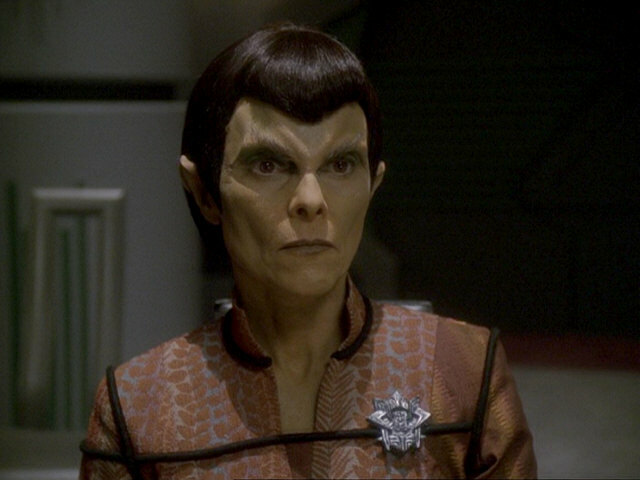 The Romulan make-up is overall unusually consistent. It has undergone just one change in over 40 years (or two, if we count in the reversal in "Star Trek (2009)"), and not a dramatic one. Unlike it is the case with the ultimate solution to the Klingon Forehead Problem in ENT: "Divergence", we should better ignore this discontinuity. 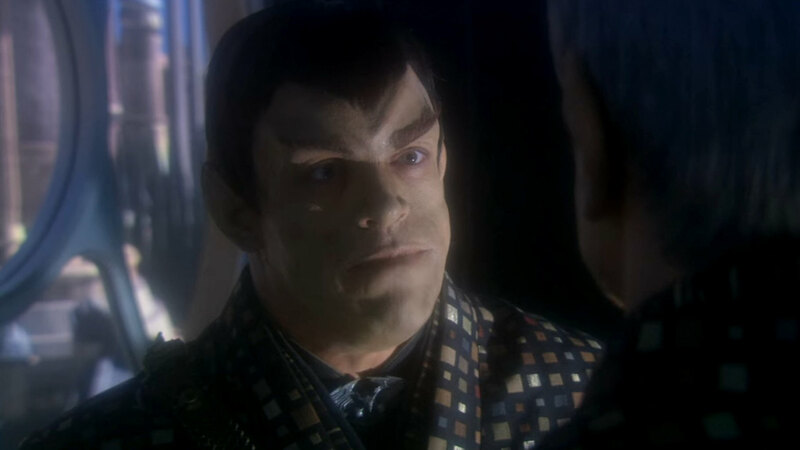 Because it would be incredibly contrived if the Romulans had suffered from a similar or even the same disease at the same time. 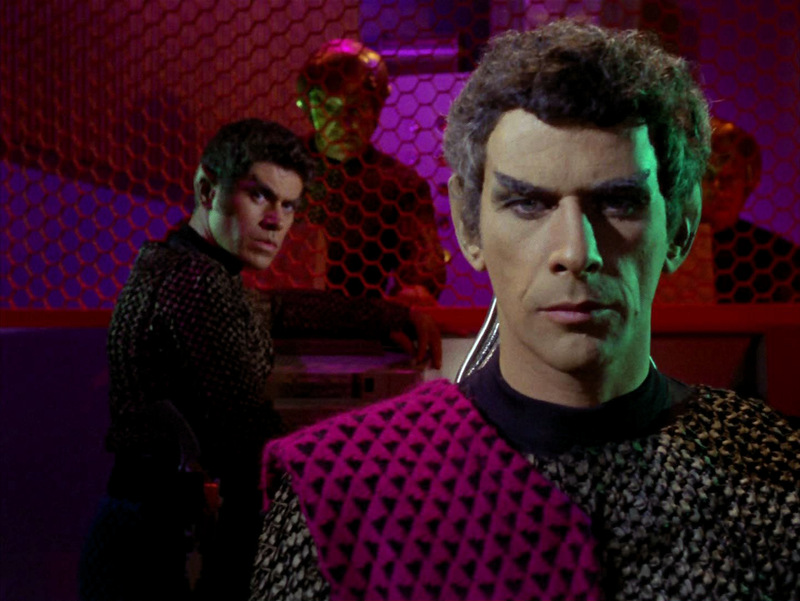 A possible rationale for the change of physiology is that the Romulans, during their long exodus, merged with other species. 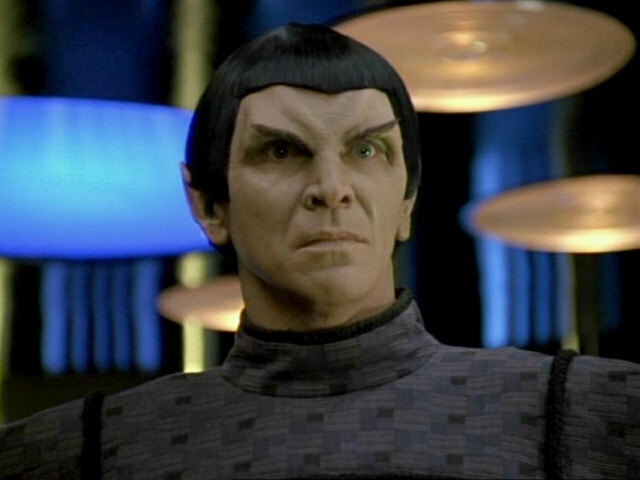 This could be the reason why they essentially still look like Vulcans but their physiology is slightly different. 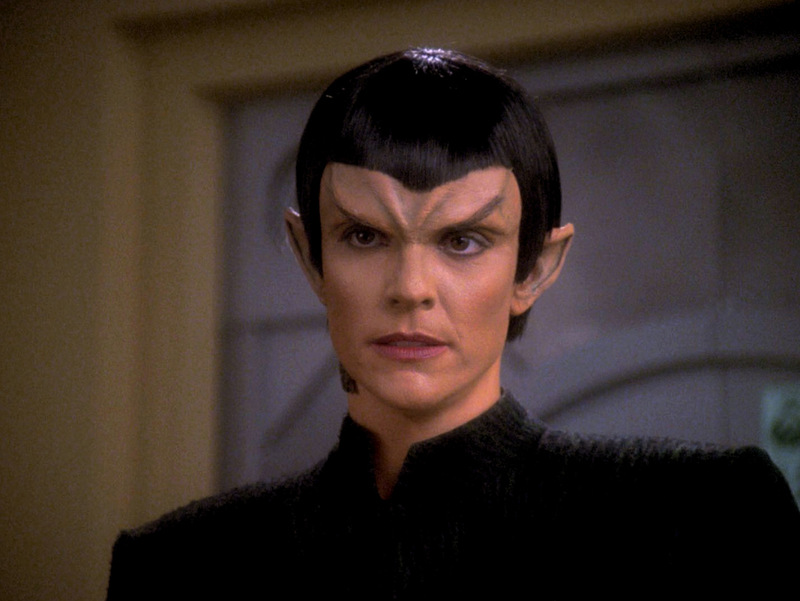 It could explain why some Romulans have pronounced forehead bones and others looks exactly as Vulcans. But it would not be plausible at all why all TOS Romulans (perhaps with the exception of some helmeted crew members) are of the latter group, and all 24th century Romulans without any exception of the former. Much less could it explain the new old look of Nero's crew, unless they all had their foreheads surgically smoothed. 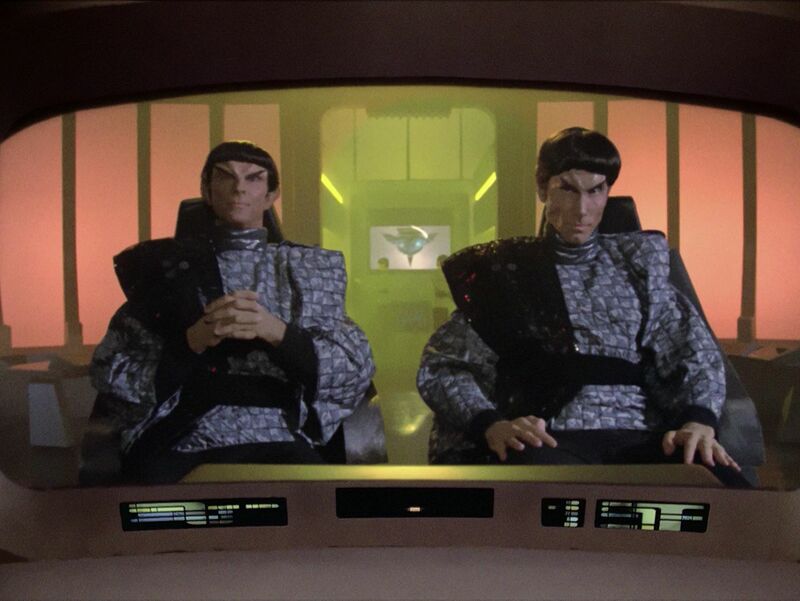 Finally, it is interesting that the Mintakans, who were described as "proto-Vulcan" in TNG: "Who Watches the Watchers", share more traits with the Romulans than with the Vulcans. 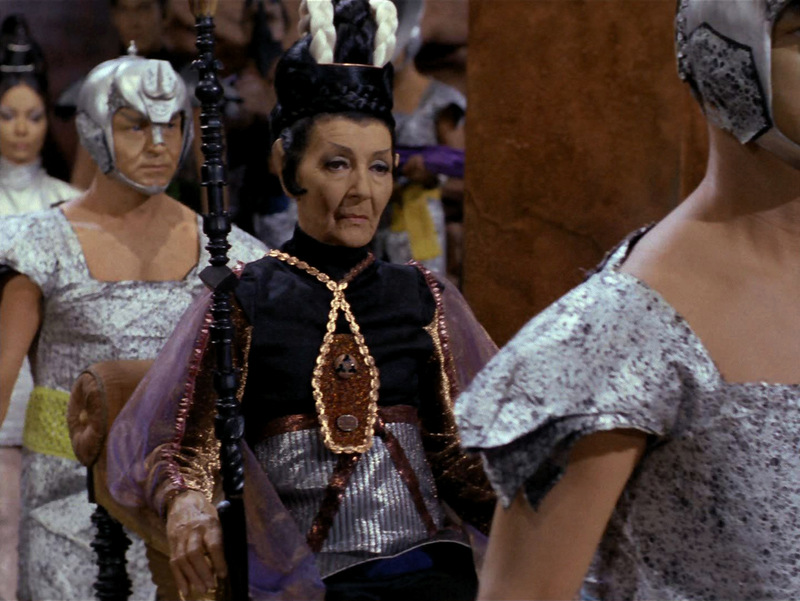 But the Mintakans must have been living on their planet for much longer than the time since the Vulcan/Romulan schism. 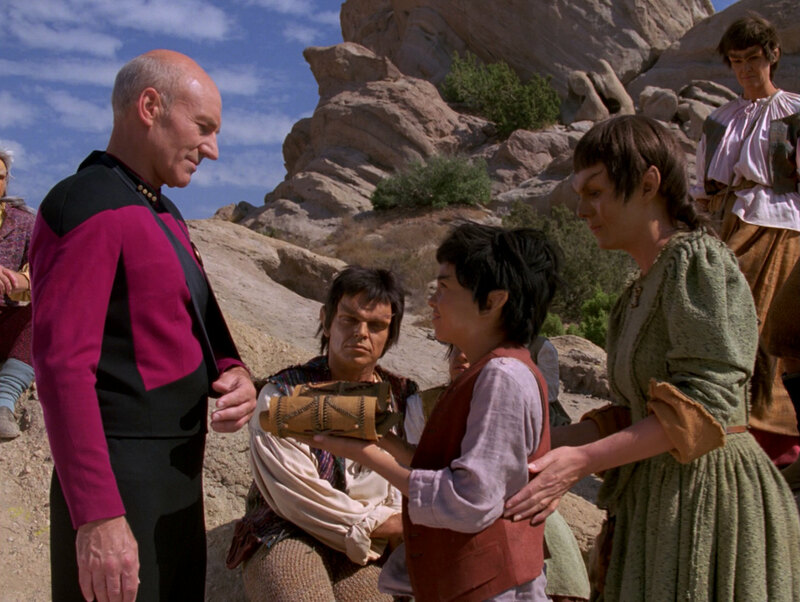 Whether they evolved from the genetic seeds of the Progenitors (TNG: "The Chase") or were relocated to the planet by the Preservers like Miramanee's people (TOS: "The Paradise Syndrome") remains uncertain. Some episode information comes from Memory Alpha.